Surveyor by Forest River is a heritage brand at Can-Am RV: we have represented Surveyor since its release over 10 years ago. Why Surveyor? 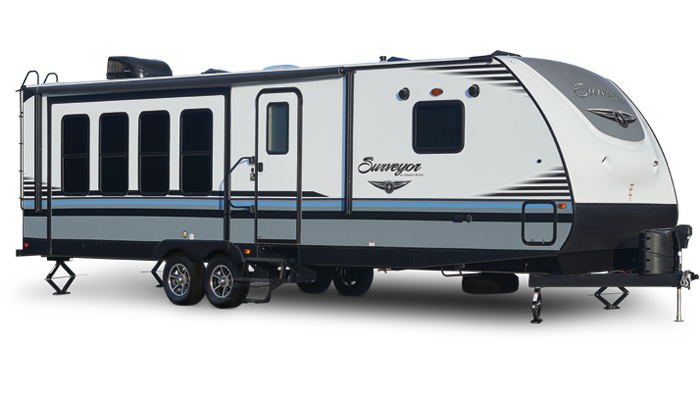 Surveyor is one of the best-built brands available on the RV market today. Aluminum, fully cage-framed walls and floor plus an aluminum truss-roof system for strength and shape-retention and a unique PVC roof that is more reliable than typical rubber, mean the Surveyor is simply a better travel trailer than most. Inside your new Surveyor, you find quality and comfort that you can see and touch. Upgraded features (most models) include a galley featuring flush-mount glass top stove with over-sized oven, molded composite counter tops for longer life and easy cleaning, pull-out sprayer faucet and stainless steel appliances through-out. Grey stained shaker-style cabinetry looks clean and modern with its hidden hinges and nickel pulls. Stylish window treatments with wood blinds and plank or tile-style flooring add to the cachet. Spacious and luxurious bedrooms include generous storage, large windows and a full 60” x 80” residential queen bed (most models). 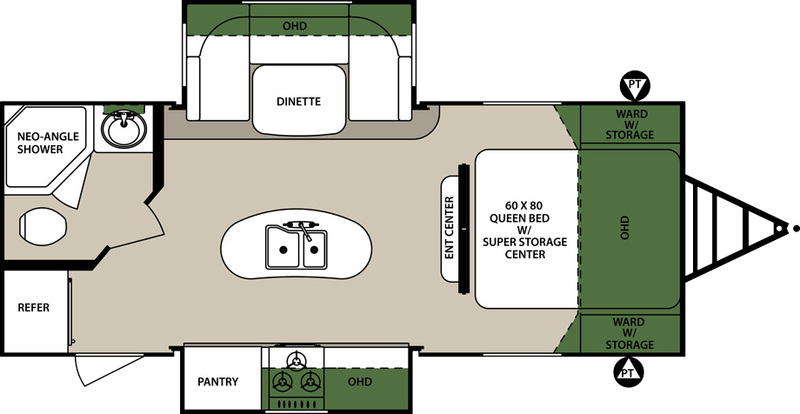 You will love the look and feel of your new Surveyor travel trailer. 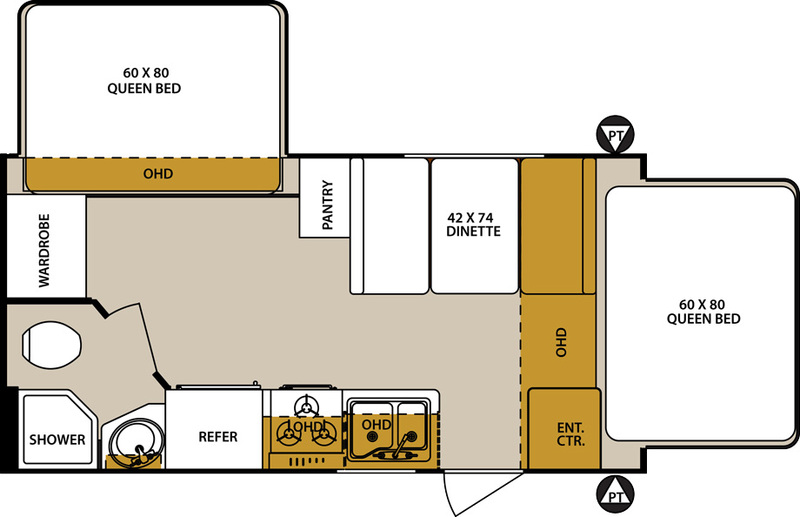 Can Am RV Centre carries many Surveyor models that may be towed by your family car, van or SUV. Call Can Am RV today or email info@canamrv.ca to find our which Surveyor model best suits your vehicle and your lifestyle. Click the button to download Surveyor brochure.